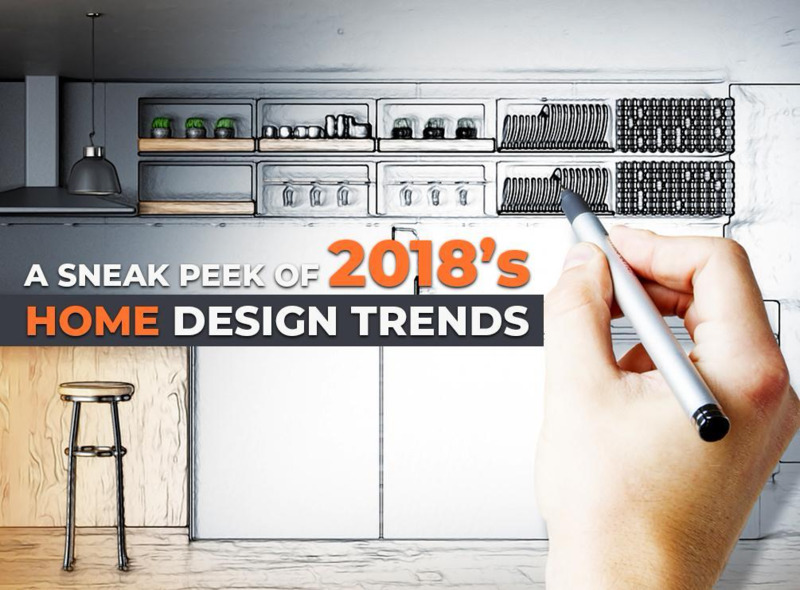 With home design continuously evolving, you can expect that the first half of the year will be all about showcasing trends. Keeping your home trendy isn’t just about aesthetics, however. It’s also about taking full advantage of new technologies to make your home more efficient and more secure. One of the area’s most trusted home builders offers a glimpse into what you can expect for 2018 as far as home design is concerned. White kitchen remodeling remains fashionable, but studies show that most homeowners are migrating toward warmer and neutral colors. Expect to see more grays and blues this year, and the return of warm wood tones, a popular color trend that ruled from 2005 to 2008. We believe it’s going to replace the now common painted cabinet for a more “natural” feel. In terms of bathroom remodeling, we’ll see a continuation of the “practical aesthetic” movement that dominated the latter part of this year. One difference is in the hardware, particularly the sinks. Dark-hued sinks made of copper, stone and concrete will replace the quintessential white and stainless sinks. Additionally, trough and bucket sinks will dominate as the modern farmhouse trend reaches its peak by the first quarter of 2018. In terms of general remodeling, there will be more focus on the details and decorative accents. Bold, botanical floral prints are rising in popularity in traditionally designed homes. Millwork walls and detailing, which used to be restricted to bathrooms and kitchens, will start to venture into bed and living rooms as well. Finally, vintage is in again. We forecast aged copper pendants, Old World replacement windows and vintage-style lights to make a comeback this year and continue to be a design staple for a long time. Krier’s Construction will help you keep your home in vogue for 2018. Get in touch with us at (920) 328-0747, and let’s talk about how we can help you with your remodeling project. We are home builders serving Appleton, Fond du Lac and Neenah, WI.